Patient adherence to warfarin may influence anticoagulation control; yet, adherence among warfarin users has not been rigorously studied. Our goal was to quantify warfarin adherence over time and to compare electronic medication event monitoring systems (MEMS) cap measurements with both self-report and clinician assessment of patient adherence. We performed a prospective cohort study of warfarin users at 3 Pennsylvania-based anticoagulation clinics and assessed pill-taking behaviors using MEMS caps, patient reports, and clinician assessments. Among 145 participants, the mean percent of days of nonadherence by MEMS was 21.8% (standard deviation±21.1%). Participants were about 6 times more likely to take too few pills than to take extra pills (18.8 vs. 3.3%). Adherence changed over time, initially worsening over the first 6 months of monitoring, which was followed by improvement beyond 6 months. 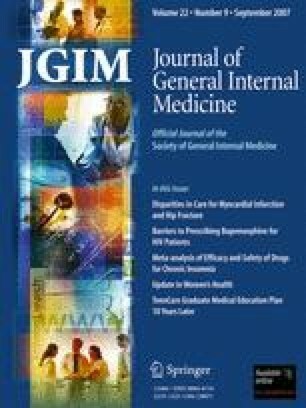 Although clinicians were statistically better than chance at correctly labeling a participant’s adherence (odds ratio = 2.05, p = 0.015), their estimates often did not correlate with MEMS-cap data; clinicians judged participants to be “adherent” at 82.8% of visits that were categorized as moderately nonadherent using MEMS-cap data (≥20% nonadherence days). Similarly, at visits when participants were moderately nonadherent by MEMS, they self-reported perfect adherence 77.9% of the time. These results suggest that patients may benefit from adherence counseling even when they claim to be taking their warfarin or the clinician feels they are doing so, particularly several months into their course of therapy. This study was supported by grants from the NIH (R01-HL66176) and Agency for Healthcare Research and Quality (P01-HS11530). Dr. Kimmel is supported by P20RR020741. The authors would like to thank Anita Hill, BS; Kiasha Huling, BA; Linda Bowman, BS, RN; Mitchell Laskin, RPh; Mabel Chin, PharmD; and Francis Herrmann, BS, RPh, for their dedicated field work; Joseph Gascho, MD, for serving as the site investigator at the Hershey Medical Center; and Sandy Barile for editorial assistance. Dr. Kimmel has received research funding from GlaxoSmithKline and Pfizer, and has served as a consultant to Bayer, GlaxoSmithKline, Bristol-Meyers Squibb, and Pfizer, all unrelated to warfarin. Dr. Gross has received research funding from Bristol-Myers Squibb, unrelated to warfarin. Dr. Samaha has received grant support from Merck, Sharpe and Dome; Abbott; Kos Pharmaceuticals; and Aegerion, all unrelated to warfarin.